A latest report shows a substantial increase in CSR funding in the last financial year that has subsequently given a lot of push to quality education initiatives along with intensifying Skilling India Mission and Swachh Bharat Mission of Government of India. The report is an annual publication of NGOBOX, a CSR research platform in India. As per the report the prescribed CSR budget of the Indian companies has increased by 28% in FY 2016-17 since FY 2014-15 while the actual CSR spend has gone up by 47% during the same time. In addition to this, Education project received 32% of the CSR fund while Swachh Bharat related projects received 7.3% of Indian companies’ CSR fund. However, urban slum development and welfare for Army veterans got scant attention from businesses, with just Rs 34 crore spent in both these areas. Technology incubation for start-ups is gradually gaining traction with Rs 20 crore CSR expenditure. Moreover, ‘India CSR Outlook Report 2017’ also shows that BSE-listed big 300 companies spent INR 6871 Cr. on CSR in FY 2016-17 while the same was INR 6342 Cr. in FY 2015-16. However, the actual to prescribed CSR percentage has fallen from 92% in 2015-16 to 90% in 2016-17. Considering the state-wise distribution of CSR fund, Maharashtra received 16.5% of the Country’s CSR fund, followed by Gujarat with 6.9%. Odisha has seen a substantial rise in CSR fund with jumping up to the 3rd largest CSR fund receiver in FY 2016-17 while it was in 8th place in FY 2015-16. The seven North-east states together received just 2% of the CSR fund. 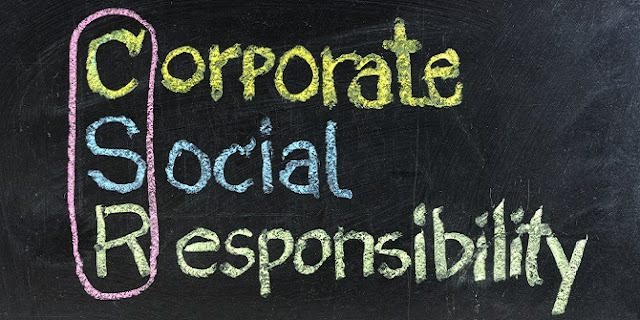 Reliance Industries Ltd is the company with the highest CSR spent with INR 659 Cr. 1/3rd of the companies could not meet the mandatory CSR while 1/3rd of the companies spend more than the prescribed CSR. A few companies have taken CSR to the next level by spending almost twice or more of the prescribed CSR, according to a press statement. It is important for every company to have an effective, thoughtful, and creative CSR strategy and plan to contribute to the growth and development of the Indian economy.